Movie buffs used to have limited options to see a movie, but the movie going experience used to cost a heck of a lot less. It seems like not long ago I paid $5 for any movie I wanted, but general admission now runs $11 per person and even more for 3D showings. Taking a special someone to the movies can easily top $40 between tickets, popcorn, and a couple of drinks. Lucky for cinephiles like you, we live in a time where movie subscription services cost less per month than the average movie ticket. 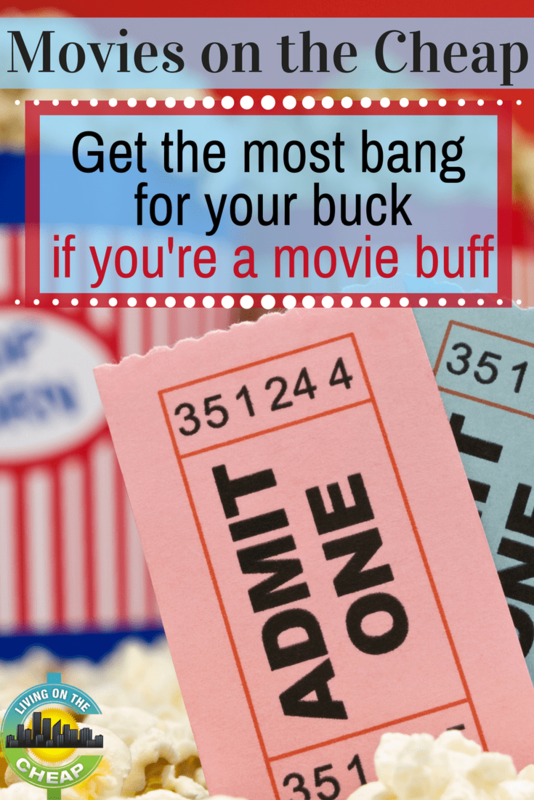 While we love getting a good deal at the movies, follow along to learn how to stretch your dollars as far as possible in the movie going experience. My parents love going to the movies. It seems at least a couple of times per week, my Mom or Dad calls and tells me they’re on the way to catch a new blockbuster or art film. But even with matinee, senior, student, or other discounts, the cost of going to the movies again and again adds up fast. For the holidays, I got my parents each a six-month subscription to MoviePass. Think of MoviePass like Netflix for the movie theater. Subscribers pay a flat $9.95 per month with no contract or commitment. When you get your MoviePass card in the mail, which works similarly to a debit card, you can swipe in to one movie per day at no charge. Yes, that’s right. $10 per month for unlimited movies in the theater, up to one per day. It works at 4,000 theaters with more than 36,000 screens. The giant Regal and AMC cinema chains both participate, as do tons of additional theaters around the nation. For less than the cost of a movie date night, you can go to as many movies as you want for a month! 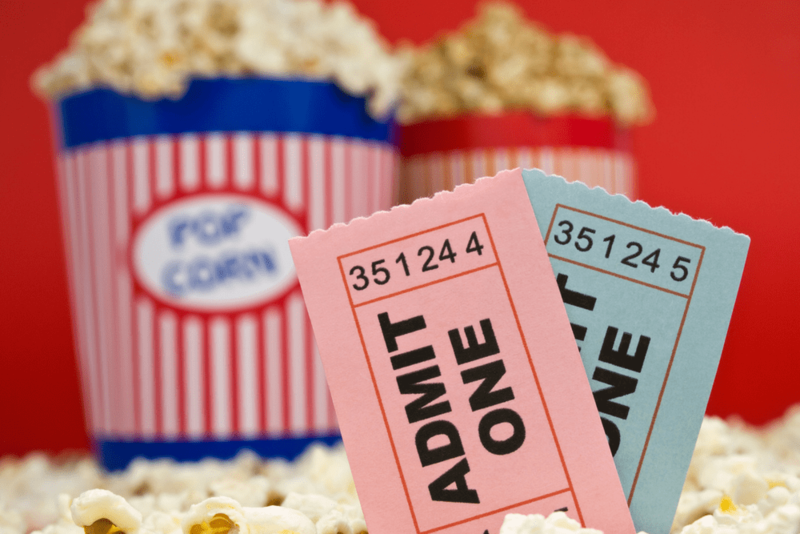 Just skip the popcorn, candy, and drinks to get the best budget movie experience. One caution: There have been complaints that the app is sometimes buggy and that MoviePass customer service is less than stellar. Did you know studios host free screenings of new movies shortly before their release to generate buzz, show the film to local reviewers, get audience feedback, and generally promote their newest releases? If you love movies and don’t mind a little work, you can get into many of these screenings for free! The top place to find free screenings is Gofobo. Sign up for a free account to get notified about free screenings in your area. AdvanceScreenings.com offers a similar service. There are some regional services as well, like 1iota. Campus Circle offers screenings, targeted to college students specifically. 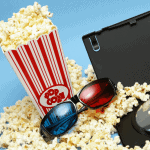 You may also find free movie screening deals on social media or specific studio websites, notably Lionsgate local screenings for its own features and seeitfirst for Disney movie screenings. The trick to making the free screeners work is showing up very early to wait in line. The hosts want a full theater, and often give out more passes than there are seats assuming there will be some no shows. Lines start to form well before show time, and admission and seating are all first-come-first-served. 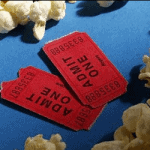 If you love seeing movies in the theater be sure to check out these 8 ways to find free and cheap movies. 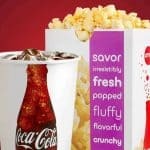 If you have Regal Cinemas in your area there are lots of great ways to save there, including Regal Crown Club and Value Days. By now pretty much everyone who doesn’t live under a rock has at least heard of Netflix. The company has attracted over 50 million subscribers in the United States, and over 100 million subscribers around the world. Why? Because it is a hugely valuable service for the cost. Think of it like this: The average cable package costs subscribers $99 per month, and requires you to spend about a third of your time watching commercials. Compare that to Netflix, which starts at $9.99 (soon to rise to $10.99) per month for unlimited streaming. I am signed up for the popular plan that allows for streaming in high definition on up to two screens at a time. I cancelled cable in 2011, and have saved well over $5,000 since eliminating the $70 per month bill. At the same time, I watch as many movies and TV shows as I want with Netflix. Signup and learn more at Netflix. Amazon Prime Video — Amazon’s response to Netflix is Prime Video, which offers less user-friendly interfaces but generally high quality original shows, movies, and a long list of free movies to stream for anyone with an Amazon Prime account. Prime costs $99 per year (or about $8.25 per month), and includes many additional services in addition to Prime Video streaming. Hulu — A joint venture of Disney, 21st Century Fox, Comcast, and Time Warner, Netflix is more like a traditional TV streaming service for the internet. The subscription service has plenty of movies available, thought you may be interrupted for ads during your viewing experience. Hulu plans start at $7.99 per month for “limited ads”, or you can pay $4 more per month for a a mostly ad free experience. Pay $39.99 per month for Hulu plus live streaming TV on up to two simultaneous screens. Google Play Movies — When you can’t find a movie you want between Netflix, Amazon, and other streaming services, Google Play Movies is a great fallback. Think of it like the old-fashioned video store, but online. Rent new releases and a massive library of older movies for a limited window, or pay more to buy it and get access forever. Rentals start around $0.99 to $4.99, and purchases range up to around $19.99. HBO Go — While Netflix started out as primarily a video store competitor, it has morphed into the biggest competitor of HBO. While most of us know HBO from cable TV packages, you can get a stand-alone HBO subscription through HBO Go, which allows streaming HBO’s big catalogue of movies and shows. Without TV, HBO costs $14.99 per month. Sling TV — Sling TV offers live television with channels for everyone — even those who can’t go without sports channels. The most basic plan starts at $20 a month, after a free seven day trial. While Hollywood may be glamorous, you don’t need to be a millionaire to enjoy the movies. Maybe you’ll find you don’t need cable at all once you get your movie fix elsewhere!